At Marina Bay Resort, amenities abound. 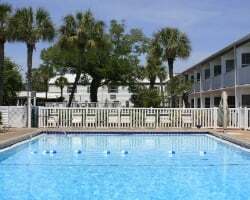 You'll find an outdoor heated pool, sauna, hot tub, exercise room, shuffleboard court, putting green, and barbecue area. A fishing pier is on site, and limited boat dock facilities are available for rent, with the Chactawhatchee Bay providing boating, fishing, and waterskiing. Twenty golf courses are within 30 miles, and tennis courts are within two miles. For superb sightseeing and family fun, visit Fort Walton Beach's Gulfarium and the Big Kahuna's Water Park. To discover more, please visit http://marinabayfla.com/. Great resort with many nearby water sport activities! Week 34 every year! Buyer may receive a title fee credit, inquire for details! 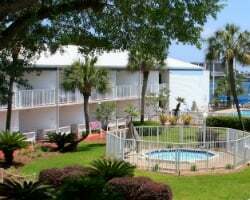 Lovely relaxing resort with many amenities for all ages! Week 1! Buyer may receive a title fee credit, inquire for details! Fantastic resort for boating and fishing enthusiasts! Great golf is nearby as well! Buyer may receive a title fee credit, inquire for details!